There are plenty of options for invitations that are customized to your style and taste. Invitations are the first of many crucial steps toward the altar. They give you the opportunity to offer a sneak preview of what your big day, and your life together, is going to be all about. Check out some of Edmonton’s great options to create something memorable and personal. Nothing is more personal than a tiny version of you and your special someone to announce your big day. Check out local illustrator Jason Blower, known for his whimsical illustrations of Albertan cities and landscapes. Depending on your style, some designers’ portfolios will appeal to you more than others. But a graphic designer can be the key to creating a cohesive, defined style to best represent you – from save-the-dates to place cards. Pinkpolka Invitations & Stationery, owned and operated by graphic designer Jenelle Gartner, who bases her designs on a love of patterns and harmonious visuals, plays with a mixture of classic style elements and fun colours. 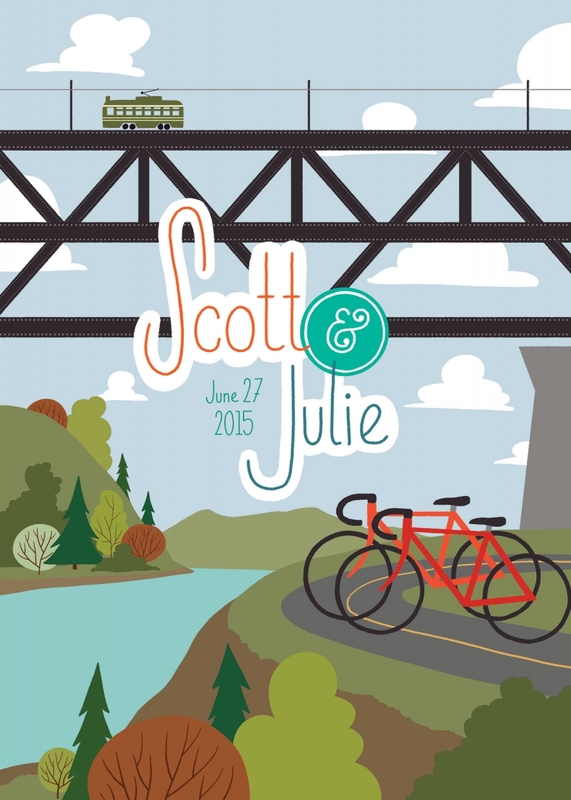 Glossie, an Alberta-based company that designs wedding invitations, believes that no bride or groom can be fit into a template and prides itself on its template-free design process, in-house printing and hand assemblage. Its graphic design focuses on creating eye-catching designs that no one has seen before. Set the bar one notch higher and focus on details that your guests can feel. Local letterpress studio Uppercase Press prints invites one-by-one on 100-per-cent cotton paper with an old-fashioned printing press. The metal type is set manually and ink is mixed by hand. Paper Press Studio also focuses on the tactile. It is founded on a love for paper of all textures and types and embellishes invitations with delicate details like real wax seals or hand-spun cord. 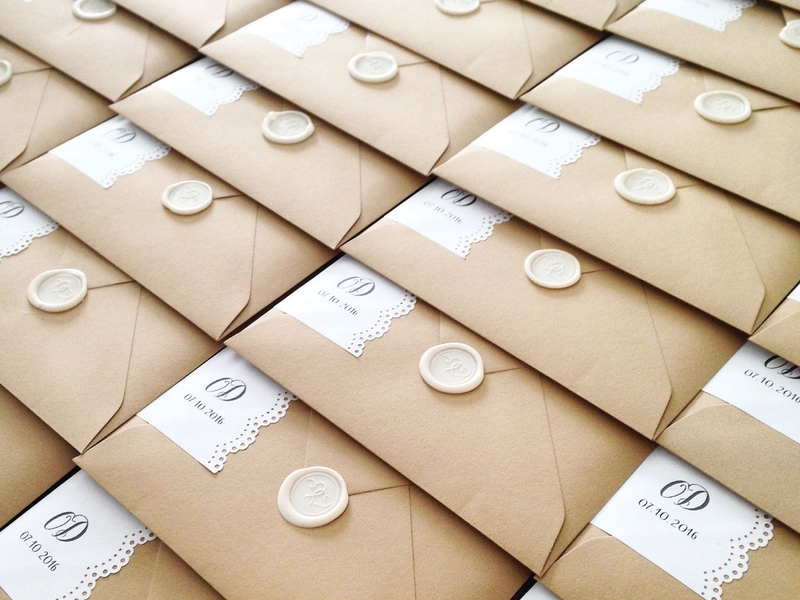 Want to be personally involved in the invitation-making process? 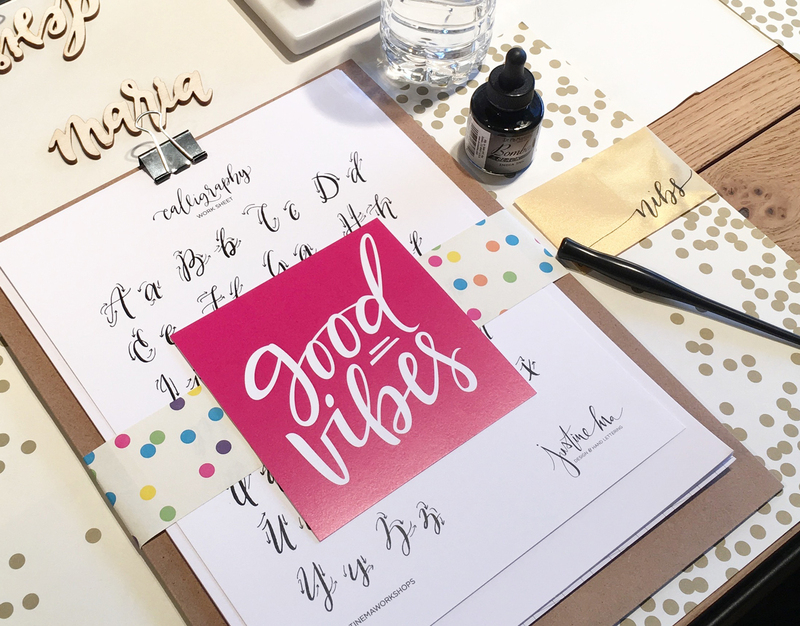 Check out Justine Ma’s contemporary calligraphy and water-brush lettering workshops and learn how to master old-school pen and ink lettering. Or sign up for a Crafting Type workshop – a three-day introduction to designing typefaces and fonts from a world-renowned typography company. Whether you use your newfound skills to address your envelopes or write out your invites word for word, your guests will be impressed by the effort you put in just for them.